It’s not everyday she turns 22. From the cute child who treasures toys, to the lady who is admired by boys … she has blossomed into the talented, compassionate, and inspiring woman that she is. As an artist she has made us laugh, she has made us cry, and she has made us see showbiz in a different light. As a person she has made us realize the value of giving, of loving and of learning. She has worked with the best (and the best-looking) people in the industry. And even as her star graces the night sky, even as she shines her brightest, she never forgets those who admire her from afar – people like you and me, her supporters. On her 22nd birthday, we at the Park Shin Hye International Fan Club celebrate by bringing you the NEW PSHIFC site – www.shinhye.org ! True to our promise to bring you closer to our star, PSHIFC will not only be an avenue for international fans to share our love and admiration for our star, but to also be your source of news, information and updates about Park Shin Hye. When we celebrate, we go all out! And since this day is extra special, Shin Hye is not the only one receiving presents - even her fans will! 1. Register on our forum. 2. Post in the members introduction. 3. 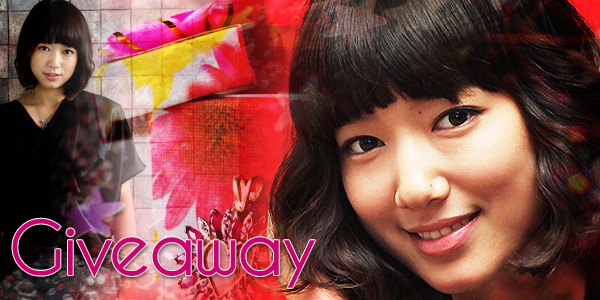 Come back to this post and leave a comment with your birthday wish for Park Shin Hye. 4. Make sure you follow us on Facebook and Twitter. Congratulations to the new home of PSHIFC this is beautiful! 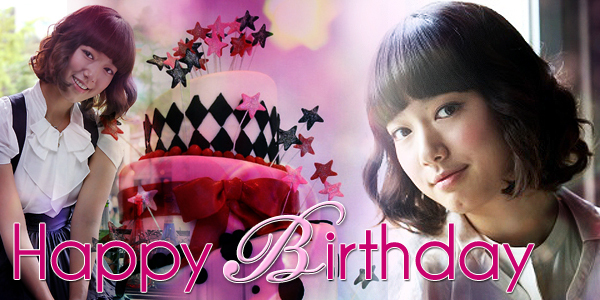 happy birthday to princess Shin Hye please continue to shine! Happy Birthday to you Shin Hye!! This site also seems like a present for all your international fans..=) thanks to those people who made this new international fan site of our beloved Shin Hye..
ahh,,I also want to win the prize but it seems that no one is commenting yet on this post so its impossible for me to become the 22nd 42nd or 100th lucky fan that will be chosen!! >,< hehe..it's alright..as long as I can greet my favorite star a happy haaaaaappppy birthday..and also to show my gratitude for the people behind this new fan site..THANKS!! Wishing her GOOD HEALTH, GOOD CAREER and GOOD LIFE. and congratulations to our new PSHIFC!! hope she stay as humble as she is now and as god-fearing as she always is..
more power and good health to you unnie!! HAPPY BIRTHDAY PARK SHIN HYE..
i hope your are happy right now all of as here love you. more power, more projects god bless.. I wish her good health, happiness in life, more blessings and projects in the future. We will forever be here and love you. Fighting! I just want to say THANK YOU to all the admins and contributors of PSHIF. I’ve been a lurker from quite sometime now and I haven’t expressed my gratitude yet in bringing Shin Hye closer to all her fans worldwide. Happy Birthday Shin Hye!!! So glad to celebrate another birthday with you. May this year be the start of something wonderful! Happy 22nd Birthday! Thank for you on the world. your thai fan..................... love you. Happy Birthday to my favorite actress PARK SHIN HYE! You are the reason I watch Korean Dramas again after a long time. I wonder that on the day you were born, the stars must be shinning so bright huh'? That's why you become this "Bright Shin Hye"
Thank you for being this Bright Shin Hye that lighten up our days..